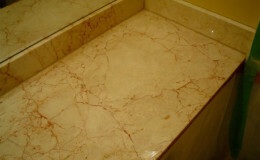 In the first image, notice the hazy, dull look of this marble, a very common problem with marble vanities that have been exposed to improper cleaning products. If you have similar problems with your marble, there is hope. You don’t have to replace it. 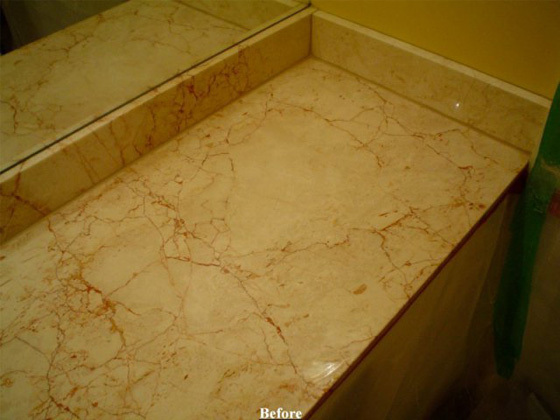 The second image demonstrates how dull, etched marble can be restored to a beautiful, stunning polish. 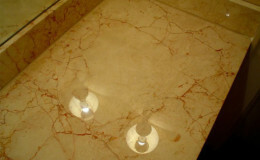 At Hi-Tech Cleaning Services, we use the only high-quality equipment, techniques and supplies to attend to your marble needs. 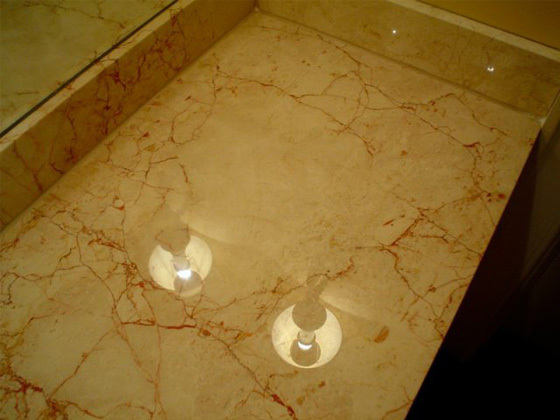 Our professional technicians can clean, hone, polish, grind, and seal your marble, maintaining strict quality standards and resolving virtually any problem. Call (914) 423-4600 or contact us online to learn more about our fine surface care, including marble and specialty cleaning, in Westchester and the New York City area.